This year, Altira Macau celebrates a decade of five-star hospitality. Regarded as one of Macau’s most notable wellness retreats, the hotel boasts award-winning spa facility and services, making it a dream weekend getaway destination, located just outside the busy casino strip. Altira is the place to go to get away from the hustle and bustle. It’s situated just far enough from all the flamboyance of Taipa, but only 10 minutes away from the Macau Ferry Terminal and Heliport. Should you feel like exploring the historic (albeit tourist-packed) area of Taipa Village, the vibrant little neighbourhood is within walking distance. But be reminded that it is a standalone property, so nearby attractions are limited. 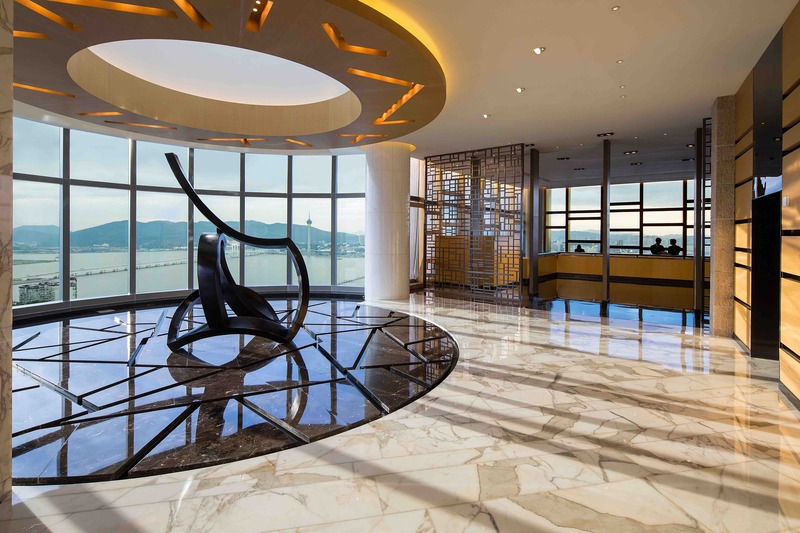 In theme with the name of the hotel Altira (derived from the Latin term altus, meaning “high”), the Peter Remédios-designed property showcases its finest highlight — the extraordinary sweeping views of the Macau cityscape. Minimalists will fall in love with the clean and sleek aesthetic. Do be mindful of the two sets of elevators located on either side of the building. They were designed to separate hotel guests from dining and spa customers, creating an exclusive experience which can be equally an unnecessary detour. Due to its slightly off-the-beaten path location, the entire property is quaint and quiet. A sense of calmness emanates throughout, from the airy penthouse-level lobby to the spacious alfresco areas where you can take in some fresh air whilst enjoying a tipple, to the rooftop lounge with plush sofa seating, a daily live band, and an open deck which is most beautiful at night, when the sun goes down and city lights turn on. As the designer intended, each of the 244 rooms boast the best views of the city through floor-to-ceiling windows. Altira’s name in Chinese, Xin Hao Feng means cutting edge, and the concept is reflected in its contemporary and minimalistic interiors which feature both a Japanese-style shower and a luxurious, circular stone bathtub. Slip into the tub for a nice soak and make use of the hotel’s Salvatore Ferragamo bathroom amenities. Other amenities are no short of expectations, with bedside charging cables for both Apple and Android, a sizeable walk-in closet, and a welcoming living area right by the window. The award-winning wellness sanctuary is spread over two floors, which is enough reason to visit Altira. The property attracts both local Macau residents and hotel guests for its exclusive and expansive range of facilities — from vitality pools and aromatherapy steam rain showers to its colour light therapy jacuzzi and tailored facial and body treatments. 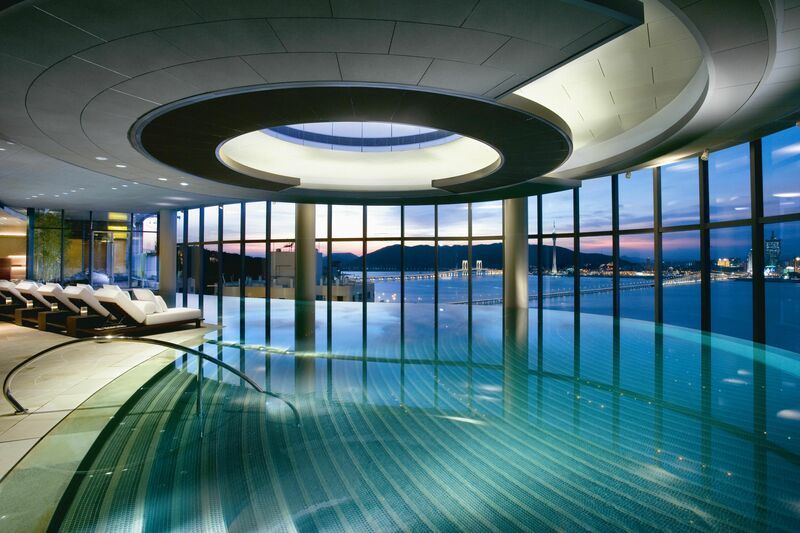 But a stay at Altira isn’t complete without a dip into the infinity edge swimming pool — where floor-to-ceiling windows and underwater music are accompanied by panoramic views of the Macau Peninsula. So, don’t forget to pack your swimsuit! 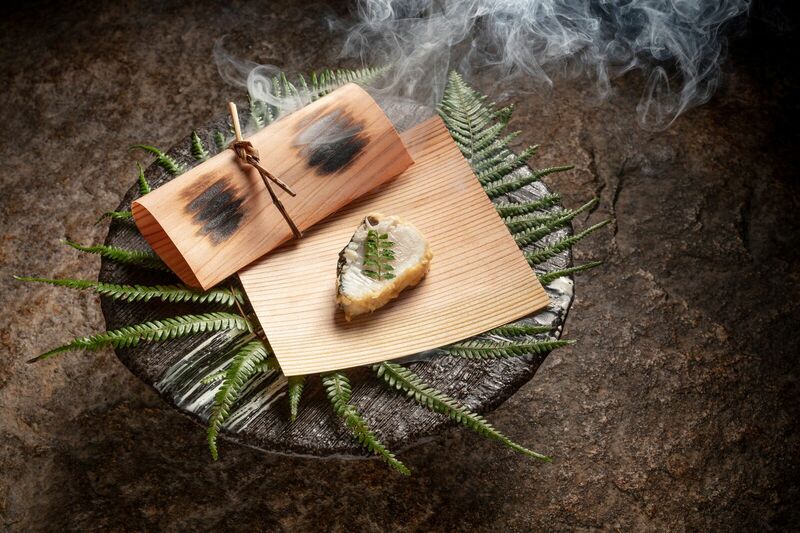 Altira is home to three restaurants serving up varying cuisines, allowing you to appease your appetite without setting foot outside the hotel: Tenmasa, the Japanese tempura experts; Aurora, the Italian fine dining room; and Michelin-starred Cantonese restaurant, Ying. 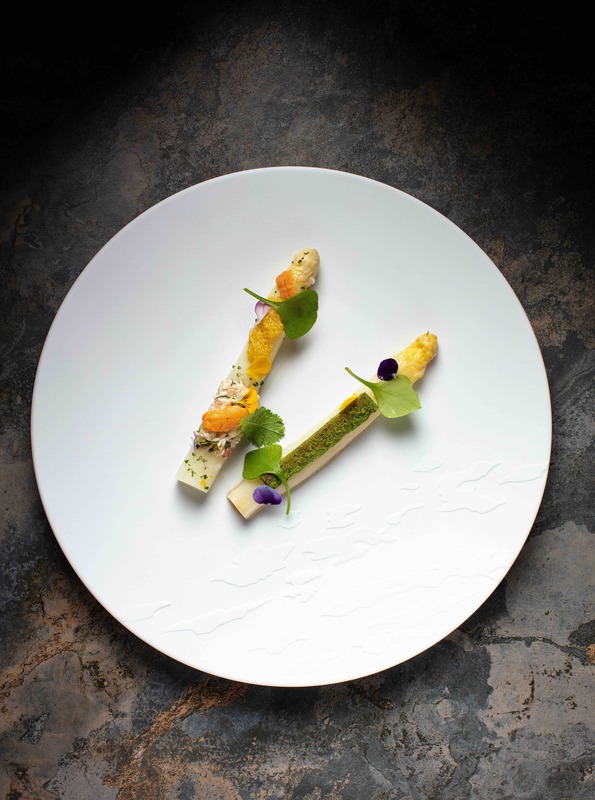 Our top bites include the Loire Valley white asparagus with white spider crab, bergamot, golden oscietra white pearl caviar and sea urchin emulsion from Aurora, and the apple wood chip smoked Ibêrico pork (the modern rendition on the classic char siu) by chef Tim Lam — both are not to be missed! 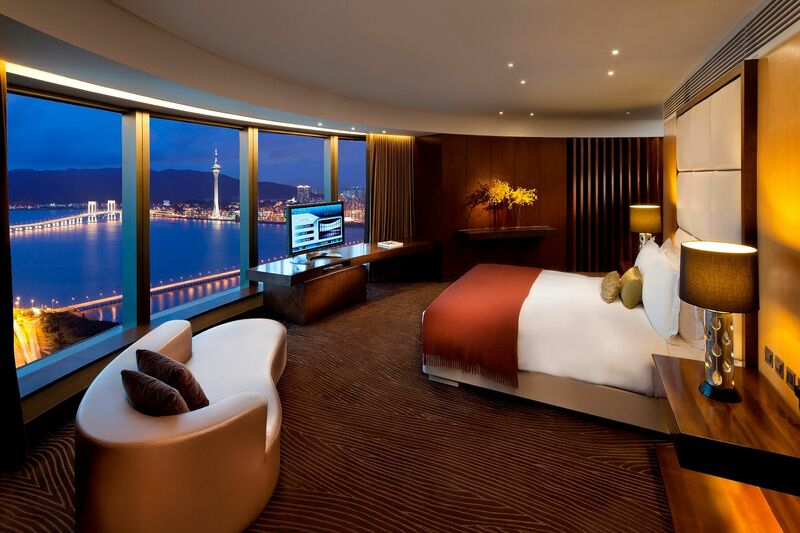 Perfect for: a weekend escape to find tranquility and quality R&R in Macau.